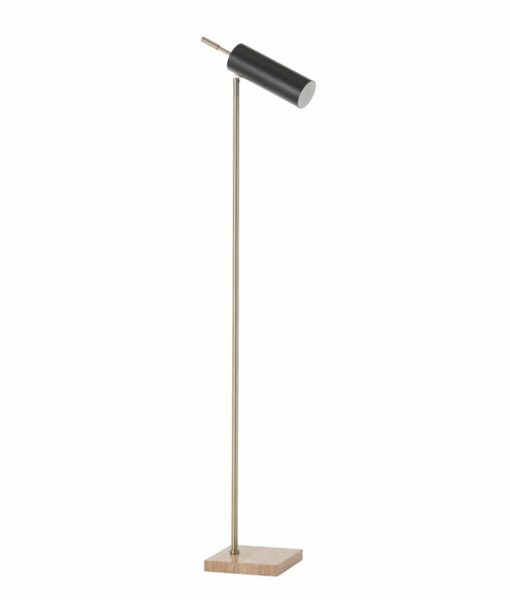 Space age sheen in floor lamp form, the Gramling fuses steel and travertine to yield retro-futuristic results. The pale brass-finished steel rod meets its polished travertine base to ground the piece. It is topped with a bronze steel shade.